I’m not sure if I would have noticed Southeast Carryout if my coworkers hadn’t raved about it like it was the second coming of all things grilled and fried. The place had a cult following, and I wasn’t sure I was ready to drink the Kool-Aid. Well, let’s be honest. I didn’t really have the money at the time. And I know it’s only around five bucks for a meal (or even less at the time), but I could make my own food for far less. Plus, I was a college student. If I wanted a hamburger I’d go to McDonald’s or Spangles or Wendy’s. Who needs a local establishment? That’s why the chains are so famous, right? Well, fast forward to a time when I have more expendable income, and realize chains are good, but local’s better. Much better. I don’t think it would be fair to say my food palate’s matured much since 2001. But more that I’ve become bored with the same old thing. Plus, I was a little nostalgic for the past. Both when I didn’t care about eating out as much, and the youthful exuberance that went with it. But I digress. So, here we are. On Oliver, a little north of Harry. Next to Payless. Tucked away on the east side of the street. You might not see it coming from the north, but coming from the south I think it’s pretty easy to spot. The first thing you see is cash only. This place must be good. I purposely went in after the lunch rush, around 1:30. There were still customers, but it wasn’t really busy. The place was a little warm, but it was one of the hottest days we’d had in July. 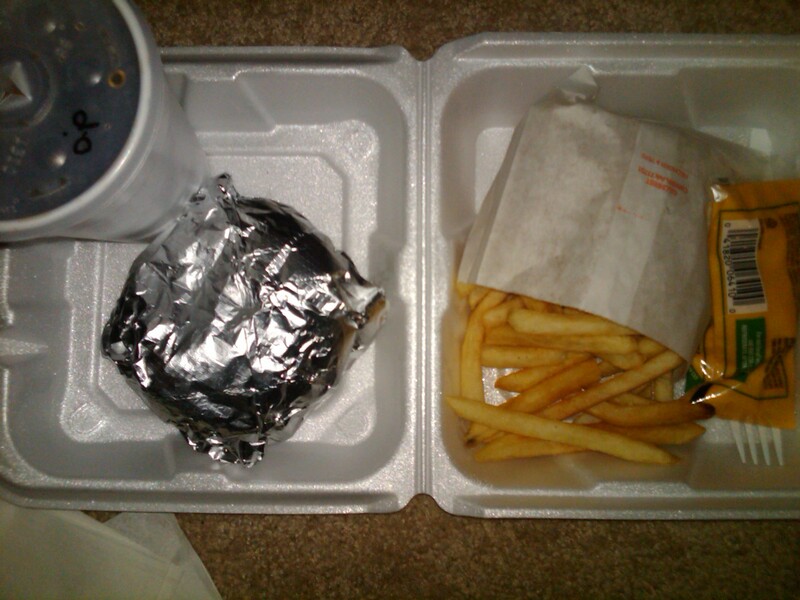 I knew I wanted a cheeseburger, and their special was a 1/3 pound cheeseburger, large fries and large drink. I ordered mine with everything. AND! 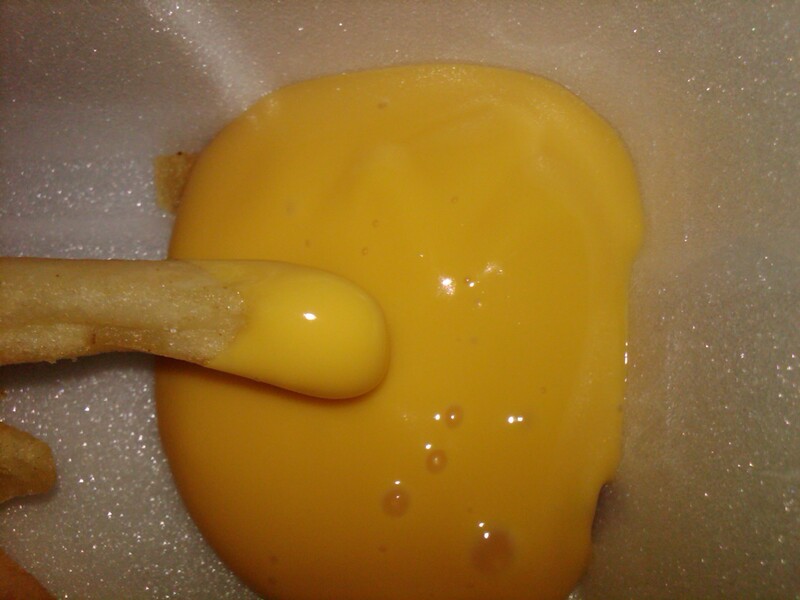 And I got cheese for my fries. HELL YEAH! My only complaint was I didn’t realize how the “pay when you get your food” setup worked. I’m sure the workers find it annoying but I hate it when I feel stupid. I stood there and stood there waiting to be rung up only to be told, not so nicely, “You pay when your food’s done.” Fine. So I sit down, a little deflated, and wait. I noticed the menu had hamburgers, cheeseburgers, hotdogs, chicken nuggets, chicken sandwiches, and grilled cheese.Yum, grilled cheese. And variations of each. They also serve ice cream as well as both Coke and Pepsi products. The grill area is out in the open, which always makes me think a place must be a lot cleaner. I’ve been in some gross kitchens in my day… And the dining room is a setup of mostly just regular tables and chairs. And there were fans setup to circulate the air. When I picked up my food (and paid! ), I got the friendly service I expected from the start. I was offered ketchup “or anything else.” I ended up taking my food to go, despite my coworkers’ warnings I needed to eat it right there. I was afraid I wouldn’t enjoy it as much in the warmer dining area. And let me tell you what, OH. MY. GOD. SOOOOO good! I’m a cheeseburger and fries type of girl, but I was so happy. I don’t think I’ll ever hit a chain again when I want a hamburger (during their hours, which are 10:30AM-7:45PM Mon-Sat, 12-4PM Sun). Yes, I DID get Diet Pepsi with my cheeseburger and cheese fries! Makes your mouth water, huh? Yeah, I hear ya. I NEED one right now, too. Didn’t think you could want it more than you already did, and then you saw these? Yep, we’re still on the same page! 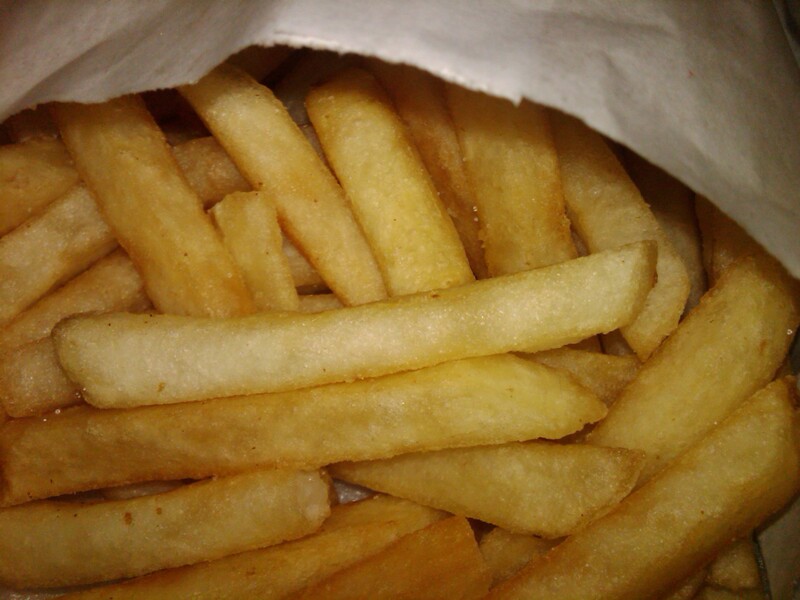 I ultimately decided to dip my fries (instead of smothering them) in the interest of preserving crispiness. OK, yes, I DID dip my cheeseburger in the cheese sauce, too. And it was delicious. Holy cow, I want one right now. At 9:39 PM. Mmmmm. I second Kim & Kendra! I think you girls would LOVE. Sometimes when you’re craving a hamburger, holler at me. We’ll go. I’d bring it to you, but my work people were right. By the end of my cheeseburger it was falling apart in that “it’s sat here just a little too long” way. Still delicious, but I don’t think a trip across town would give you the true delight that is SE Carryout. Oh my gosh that looks so great. I wanna go too! Also now. that looks really good. 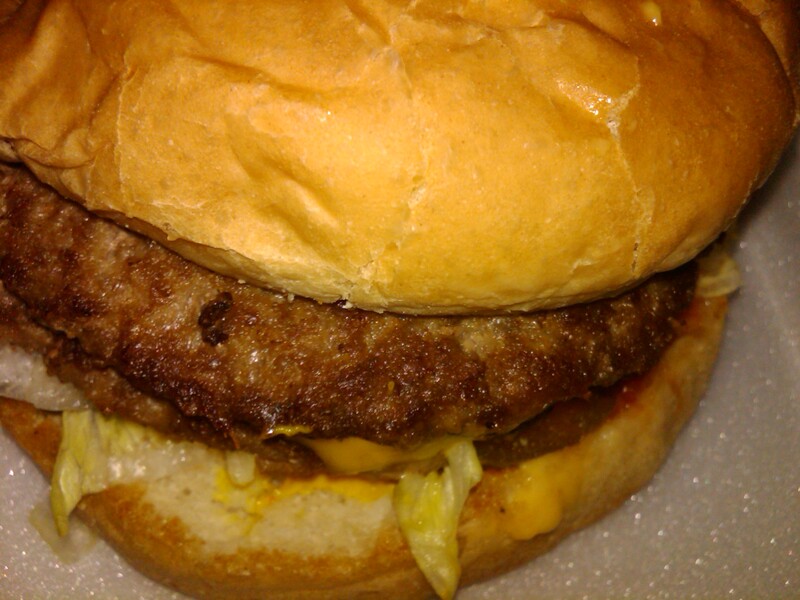 But i have to tell you there’s a place that’ll beat any burger places u ever had………… Its called Burger Stand, its on mosely & 17th street. Its on ur right if u are coming from 21st street. 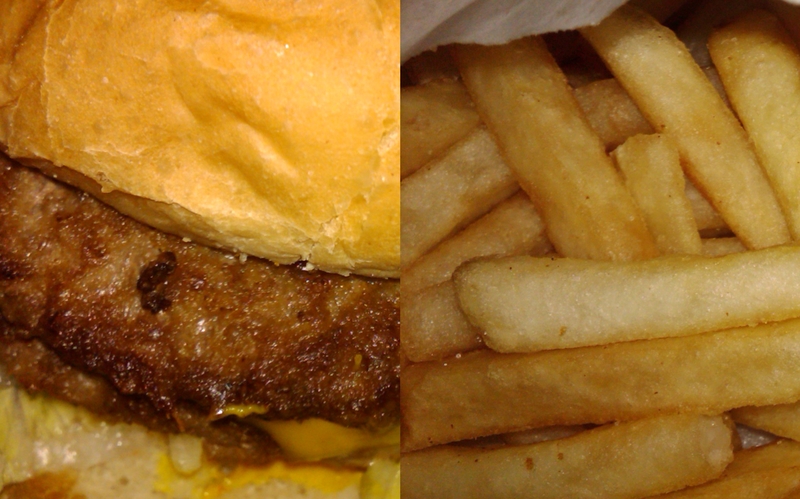 Their burgers and fries are just sooo yummy!